Darren Rizzi has been a member of the Dolphins coaching staff since 2009. 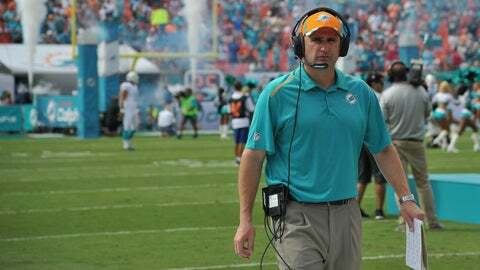 DAVIE, Fla. (AP) — Miami Dolphins special teams coordinator Darren Rizzi has been promoted to assistant head coach by interim head coach Dan Campbell. The change announced Monday is the latest on Campbell’s staff. He was promoted last week from tight ends coach when head coach Joe Philbin was fired after the Dolphins’ 1-3 start. Miami had a bye last week and plays Sunday at Tennessee. Rizzi will continue as special teams coordinator. He joined the Dolphins in 2009.